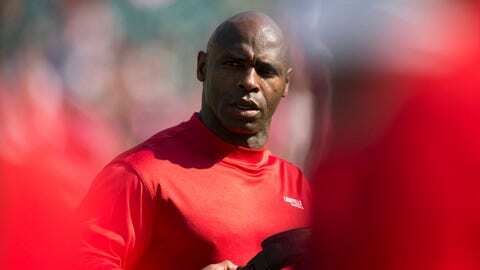 Charlie Strong talked about being tough and winning championships. That is exactly what Texas fans wanted to hear from their new football coach. There’s little doubt he can deliver the first. The second part will determine whether he can revive a dormant program back and push it back among the national elite where the Longhorns are desperately longing to be. "It’s time to put the program back on the national stage," Strong said Monday at his introductory news conference. "The mentality is always going to be mental and physical toughness … We will be a hardnosed football team." That’s the reputation Strong brings to Texas, which has floundered since playing for the 2009 national championship. Four seasons of at least four losses and no Big 12 titles ended with Mack Brown exiting after 16 years, and Texas turning to the coach who led Louisville to a 23-3 mark and two bowl wins the last two seasons. Strong also had a reputation of being uncomfortable with the media, but with his wife and two daughters sitting in the front row watching him, he breezed through his 45-minute news conference with smiles and jokes before ending with the trademark "Hook’em Horns" hand signal for the cameras. "Let’s go win football games," Strong said. "Let’s go win championships." The 53-year-old Strong clearly has some of the same pages from Brown’s playbook. He embraced the legacy of Texas’s football tradition when he entered the room and hugged Edith Royal, the widow of former Longhorns coach Darrell Royal who won national titles in 1963 and 1969 and a share of a third in 1970. And just like Brown did when he arrived in 1997, Strong made a point of embracing Texas high school coaches and his commitment to recruiting the state’s best players. Brown, whose last game was Texas’ loss to Oregon in the Holiday Bowl, did not attend the news conference. Strong said he spoke to Brown over the weekend and assured him he would be welcome around the program. Strong said Brown left the program in good shape, even if it hasn’t won in recent years like Texas expects to. The Longhorns last won the Big 12 in 2009. Their last national championship was in 2005. Although his contract must still be approved by the school’s board of regents, Strong was offered a five-year contract with an annual salary of about $5 million. Strong dismissed suggestions that Texas may have courted other coaches before offering him the job. "I could have been the 15th choice," Strong said. "And I’m still so happy to be the coach here." Strong also acknowledged this historical significance behind him taking the job: He is the first African-American head coach of a men’s sport at Texas. "People look at it lot as me being a minority. I’m a football coach," Strong said. "This is a historical day. There’s always going to be a first somewhere." Strong said he doesn’t feel any special pressure taking over a program that boasts the nation’s wealthiest athletic department, its own television network and annual expectations of winning conference and national championships. While Strong spoke, the football stadium’s giant scoreboard displayed a huge picture of Strong cheering with a clenched fist raised in the air, a shot from his Louisville days with his Cardinals red shirt now tinted burnt orange. "When you’re not prepared, yeah, there’s pressure," Strong said. "If you surround yourself with the right people, it’s not pressure."